This skirt features pleats and ruffles, black lace accents along the bottom, and 3 chain loops. There are three options for rush production, which can all be selected at checkout. Please select the best option that works with your deadline and be sure to list that deadline in a note at checkout. Message us for a quote if rush shipping is also required. Absolutely beautiful! She is such a pleasure to work with and customized the skirt for me as well. Beautiful construction, an instant favourite that will be a regular part of my wardrobe. 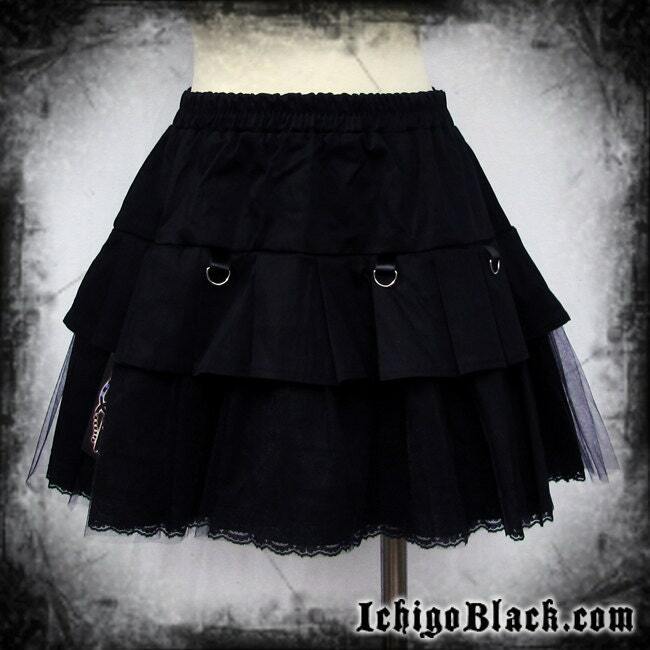 I have to commend you on the beautiful craftsmanship of this skirt. It is even better in person. It fits perfectly, even for a big girl. The length is also perfection. Please keep producing wonderful products. You've given me my faith back in small businesses making hand made items!! !